Nearest neighbour search is a simple technique widely used in Pattern Recognition tasks. When the dataset is large and/or the dissimilarity computation is very time consuming the brute force approach is not practical. In such cases, some properties of the dissimilarity measure can be exploited in order to speed up the search. In particular, the metric properties of some dissimilarity measures have been used extensively in fast nearest neighbour search algorithms to avoid dissimilarity computations. 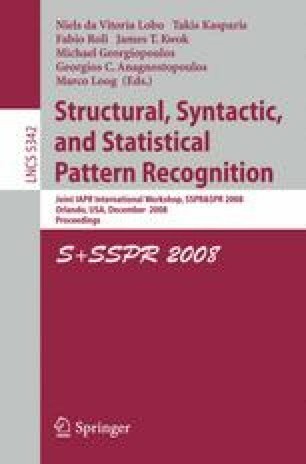 Recently, a distance table based pruning rule to reduce the average number of distance computations in hierarchical search algorithms was proposed. In this work we show the effectiveness of this rule compared to other state of the art algorithms. Moreover, we propose some guidelines to reduce the space complexity of the rule.